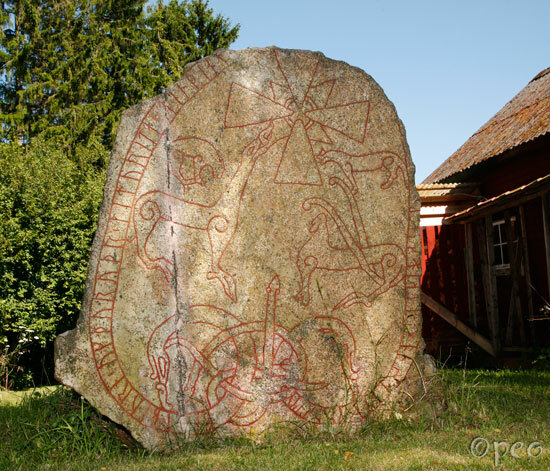 Fastbjôrn and Þórunnr had this stone erected in memory of Ingifastr, their husbandman. May God and God's mother help his spirit. I really like this one. It is standing in a private garden in Balingsta.